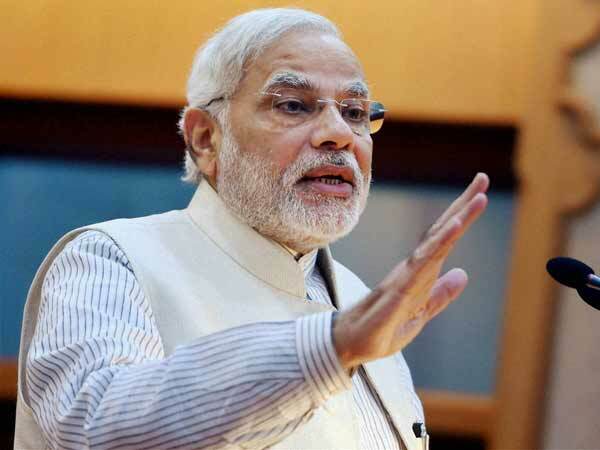 New Delhi, Nov 5: Promising more measures to ease problems faced by small businesses due to GST, Prime Minister Narendra Modi on Saturday said a committee of state ministers has accepted most of the suggestions made by them and an announcement is likely in the GST Council meet next week. The GST Council had announced several measures to ease problems faced by businesses last month. The next meeting of the Council headed by Union Finance Minister Arun Jaitley and comprising state finance ministers is scheduled to meet on November 9 and 10 in Guwahati. Speaking at an event to mark massive jump by India in World Bank's ease of doing business ranking, Modi said the GST Council had set up panels of state ministers and officials as some of the states had expressed reservation on certain issues. Modi said a group of state ministers was constituted to look into the issues raised by businesses and small traders, and they have "positively accepted" most of the suggestions. The recommendations of the panel will be accepted at the next meeting of the GST Council on November 9 and 10 if no state raises objections. Referring to the the World Bank's ranking, the Prime Minister said the latest report did not take into account implementation of GST. "As you all know, GST is the biggest tax reform in the Indian economy. And it impacts many aspects of doing business. With GST, we are moving towards a modern tax regime, which is transparent, stable and predictable," he said. There are many other reforms which have already happened, but need gestation and stabilisation time, before they are taken into account by the World Bank, he said. "There are a few other reforms where our team and the World Bank team need to find common ground. All this, combined with our conviction to do even better, gives me the confidence that India will occupy a place of pride in the World Bank report next year and in the years thereafter. Modi said efforts are on to create a NEW INDIA, where opportunities are created and harnessed to the advantage of the needy.